There are many workshops to be held before the California Native Plant Society 2018 conference begins on Tuesday, January 30, through Wednesday, January 31, at the LAX Marriott. Tuesday, January 30, from 1:00 pm to 4:30 pm. See complete information about these two workshops below. 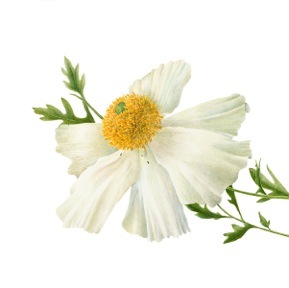 Matilija Poppy, Gilly Shaeffer, watercolor on paper, © 2017. 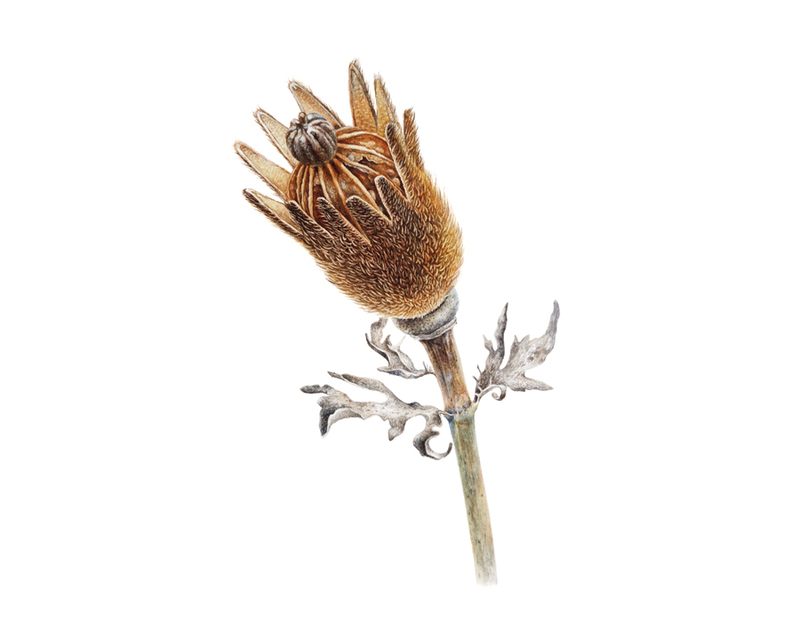 Botanical art starts with a good drawing. Through demonstrations and hands-on practice, participants will learn ways to create line drawings of plants. We will focus on the need for close observation when creating botanical art. Class will begin with an overview of the materials used to create botanical art and how they are used, including pencils, drawing paper, erasers, magnifiers, watercolor brushes, paints, and watercolor paper. Next participants will be introduced to shading from light to dark to create three dimensional forms. Exercises will further participants’ understanding of form through creation of their own three dimensional forms. An introduction to the importance of a light source in drawing plant forms will be included. Class will conclude with time to sketch from natural forms so that class participants can apply the concepts presented during the class to their actual plant drawings. This workshop is designed for people who have an interest in learning more about how to draw and eventually paint plants, and will be taught at a beginner level. Participants will receive a list of reference books for the beginning study of drawing. Handouts will be provided covering basic points made in the class which will include exercises that can be done at home. A variety of books that are highly recommended in the study of botanical illustration and watercolor will be available to look at during class, as well as recent exhibition catalogues. Gilly Shaeffer’ s lifelong interest in art and love of nature drew her to the study of botanical art. Her work has been selected to appear in juried exhibitions at museums, galleries, and gardens throughout the United States. She has taught Botanical Illustration and Watercolor at Virginia Robinson Gardens and Otis College of Art and Design in Los Angeles. She also teaches Botanical Art Techniques at her home studio on Mount Washlngton in Los Angeles. Matilija Poppy seed pod, Olga Ryabtsova, watercolor on paper, © 2017. This workshop will focus on black and white drawing techniques. We will review the materials required, and participants will learn about the perception of light, shadow, and contrast in drawing with a graphite pencil, metalpoint, pen and ink. Drawing with all mentioned materials will be demonstrated. Patricipants will draw a sketch from a living plant or fruit or a provided photo with graphite, and start an original work with matalpoint. This worshop is open to anyone interested in botanical art and drawing techniques. All skill levels are welcome (beginner, intermediate, advanced artists who are interested in metalpoint). Olga Ryabtsova was born in Russia, in the town of Dubna about 80 miles north of Moscow. After school, she moved to Moscow to study graphic design and illustration at the Moscow University of Graphic Arts, where she obtained a Master’s Degree. She worked as an Art Director for advertising agencies, and as a photojournalist and commercial photographer. After moving to California in 2015, Olga became fascinated with the native plants of Southern California, the botanical gardens in the area, and botanical art. She works in many different techniques, including watercolor, oil, etching, silverpoint and ceramic. Additionally, Olga teaches drawing to children and conducts workshops for adults.